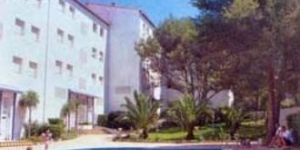 Terraced holiday home located in l Escala. 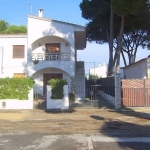 at 1 km from the beach of Riells and 1 km from the shopping centre. This recently built holiday home has 4 bedrooms. 2 bathrooms. air conditioning (payable). a terrace and its own garden with barbecue. 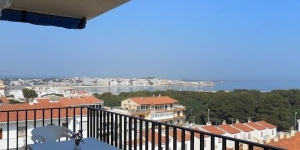 The development has a communal swimming pool and car parking facilities you can use.LEscala is the most southern place on the bay of Rosas. The old centre of lEscala is very atmospheric and typical with its narrow streets with many shops. terraces and restaurants. Gastronomically. lEscala is famous for its traditional anchovies recipe. This lively fishing village with a yachting harbour thanks its appeal to the many possibilities it offers. Ideal for windsurfing. sailing. kayak and diving. You can also enjoy sunbathing on one of the many wide. white sandy beaches. Tennis. horse riding and cycling also belong to the possibilities. The cultural top of the region are the archaeological digs in Sant Martí d Empúries (at 4 km). They are known as the most important ones in Spain.